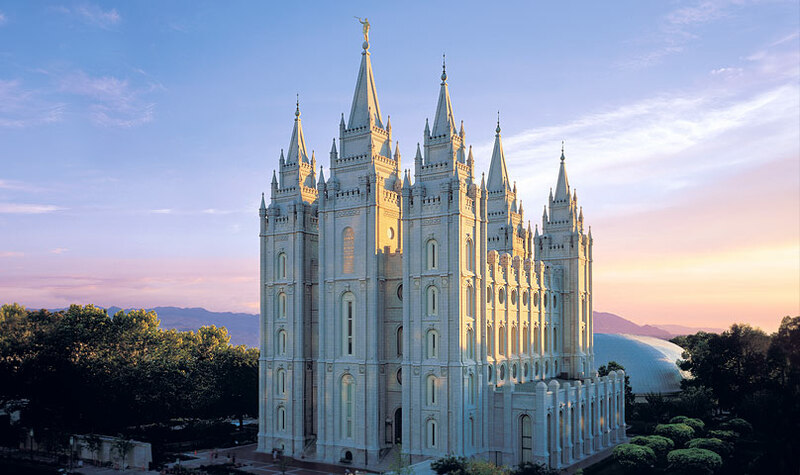 I just returned home from Salt Lake City where I saw one of the most beautiful Temples you could imagine. Interestingly, it served as a perfect contrast for the series Pastor Andy Stanley has been preaching the past few weeks at North Point Ministries – Brand New. In his series, Pastor Stanley proclaims that “most of the things you resist about the church are things that the church should resist.” The basis of the series is that with Christ’s coming marked the end of the “Temple Model” (of religion) and signaled something entirely new, hence the series name (Brand New). But he says there are no “sacred places,” because Jesus taught that people are sacred. “You are more sacred to God than any place.” Further he says that there is no longer a need to have a high priest to connect you to God. This contrasts to the LDS church which has a beautiful, breathtaking temple which only worthy LDS members can enter and a prophet who is believed to speak the word of God. “When you are standing on the most sacred place you can imagine, the person to your left is more sacred than the place you’re standing on. “Meanwhile us Baptists, we didn’t didn’t any drink alcohol, Zero! No, we don’t drink alcohol. What? You drink alcohol in church? Yes, why don’t you drink? Because… you’re not… supposed to. Yeah, that’s it. You’re just… not supposed to. But Jesus turned water into wine. The way you’re raised and the way religion is presented to you fine tunes your conscious. But the series is yet to end so be sure to visit brandnewseries.org/letting-go, especially if you have strong reservations about the Christian church. Thanks for posting this mate.